A small, quiet patio home subdivision located off of Thunderbird Road and 92nd Street in North Scottsdale. These patio homes for sale in Scottsdale Hills are spacious and feature manicured front lawns, contemporary interiors, and brick-layered back yards perfect for BBQ grills and entertaining guests. Monthly HOA Fee covers community amenity upkeep and maintenance. Community amenities include a heated pool and relaxing spa. Within walking distance from great community parks, making it an ideal place to live for a young family. Plenty of shopping centers and restaurants less than 10 minutes away from Scottsdale Hills. The Arizona Loop 101 is less than a mile from Scottsdale Hills, which allows residents to enjoy convenient access to a highway that connects most of the Valley. From a 15 minute drive to South Tempe to a 30 minute drive to Glendale, including State Farm Stadium, commuting is made easier thanks to this amazing highway. There are two beautiful parks near Scottsdale Hills. Northsight Park, just west of the 101 on Thunderbird, features nearly 20 acres of grass fields, lighted basketball, tennis, and volleyball courts, a playground, and picnic areas. Roughly half the size of Northsight is Thunderbird Park, which is within walking distance of Scottsdale Hills, and also offers many of the same amenities. Enjoy the outdoors at either of these great local parks. Whether it’s shopping for clothing, housewares, or groceries, residents of Scottsdale Hills have a plethora of options near the subdivision. Kohl’s is ideal for outfitting the entire family as well as setting up your kitchen, bathroom, and bedrooms with the latest appliances and bed/bath accessories. Get your weekly shopping done at the Wal-Mart Supercenter, or for those who prefer organic and specialty foods, Trader Joe’s isn’t too far away. From great views of the McDowell Mountains to the convenience of the highway, Scottsdale Hills Patio Homes offer a fantastic place to live. 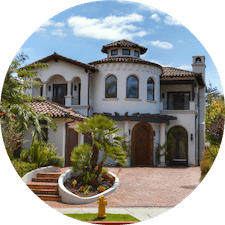 If you are interested in a single family home in the same area, we highly recommend exploring the Palos Verdes and Casa Privada neighborhoods. All Scottsdale Hills patio homes for sale will appear below. We would love the opportunity to show you any of this Scottsdale Hills real estate. Please call us at 480-387-3990 or fill out our Contact Form and we will respond within the hour during normal hours. 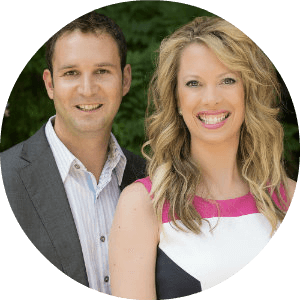 We highly recommend that you Contact Us and we will create a custom search for you that will automatically alert you when new homes come up for sale in Scottsdale Hills. 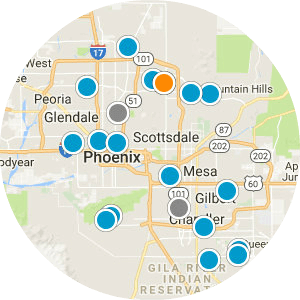 We can also prepare a free report for you that provides all the statistics you want to know about Scottsdale Hills including historical data, projections, recent sale prices, and information about Scottsdale Hills' surrounding neighborhood.